Console.log is doesn't show any information. Does any one have idea what is wrong with FF. Do you have the logging level set lower than "info"? 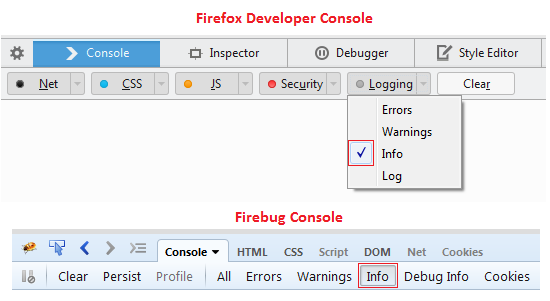 Is this the built-in console of FireBug?